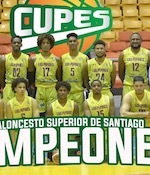 Leones SD celebrated LNB title. They overcame Metros in the decisive seventh game of the championship series. The guests trailed by 9 points after three quarters before their 33-20 charge, which allowed them to win the game. Leones SD shot 60.9 percent from the field. They looked well-organized offensively handing out 23 assists. Great defensive blocking was one of the keys in this match when Leones SD made 8 blocks. 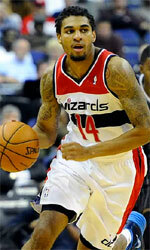 Naturalized American M.J. Rhett (206-92, college: Mississippi) fired a double-double by scoring 25 points and 11 rebounds for the winners. American forward Donte Greene (206-88, college: Syracuse) chipped in 22 points and 6 rebounds (made all of his eight free throws). American Robert Glenn (203-89, college: IUPUI) produced a double-double by scoring 24 points and 10 rebounds and the other American import guard Damien Wilkins (198-80, college: Georgia) added 24 points and 7 rebounds respectively for lost side. Five Leones SD and four Metros STGO players scored in double figures.